Until I become a mother just over seven years ago I had no idea just how much the sight of your child being in pain could shake you to the core. When my son was merely a few months old he developed eczema. His poor skin was super sensitive from the get go and broke out in itchy flare-ups at the drop of a hat. Over the next several years we fought that vicious cycle, trying out cream after cream, lotion after lotion without much success. Thankfully, he&apos;s grown out of the worst of it now, apart from the occasional flare-up, but, unfortunately, his little sister is now battling the dry itchy skin eczema brings. Thank goodness for Eucerin. 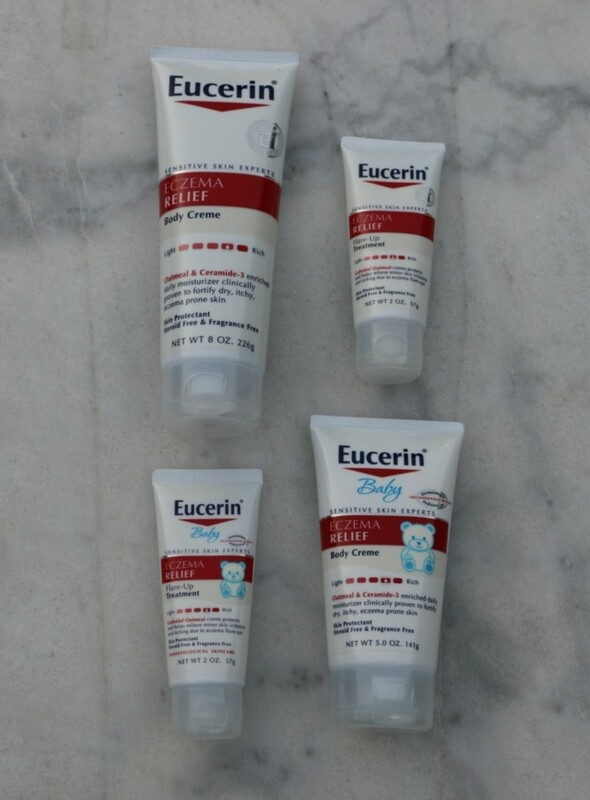 We&apos;ve recently started using their Baby Eczema Relief Body Cream and Baby Eczema Relief Flare-Up Treatment. This time of year is particularly tough on skin due to all the weather changes. Here in Florida it&apos;s sweltering one moment and cool the next and her skin has trouble coping with that. So, these products couldn&apos;t have come at a better time. We&apos;re using the body cream to maintain her calmed down skin that the Flare-Up Treatment helped soothe. Keeping skin hydrated even after a flare up is gone is super important when caring for eczema prone skin. And now instead of being itchy and uncomfortable, she&apos;s free to truly enjoy our favorite holiday activities. 1. Use a gentle, non-foaming cleanser that will clean the skin, but not strip it of its natural oils. 2. Moisturize immediately after bathing with a fragrance free moisturizer. This will help lock in hydration. 3. 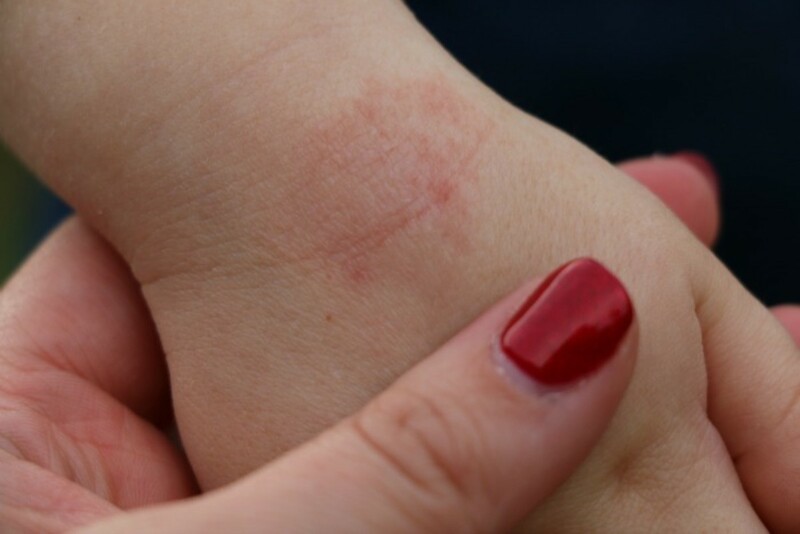 Protect skin from itching and scratching. Avoid itchy fabrics that will irritate the skin. Instead wear breathable clothes. 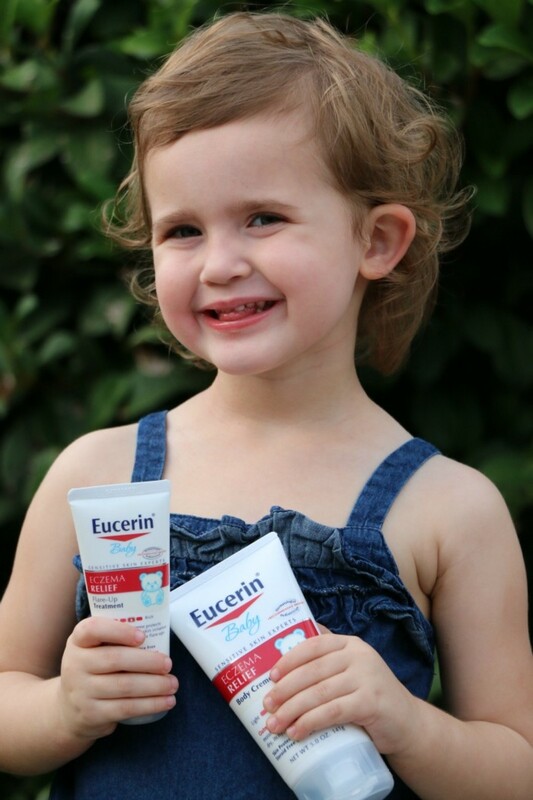 You can find Eucerin products here and connect with them on Facebook, and Twitter. Compensation was provided by Eucerin. 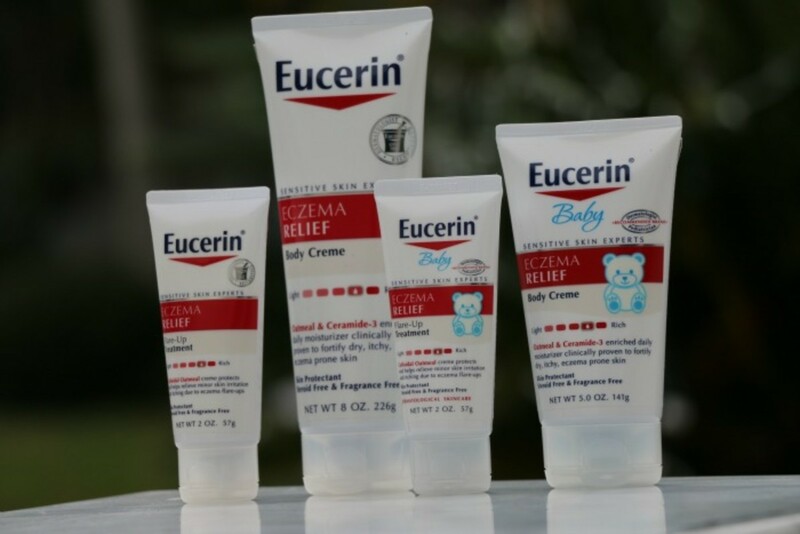 The opinions expressed herein are those of the author and are not indicative of the opinions of Eucerin.